On May 30-31, I had pleasure to take part in the Arctic15 conference – one of the biggest startup events in Finland. I was lucky enough to experience the hottest May in Finland in 30 years, but it turned out the discussions I had during the networking part of Arctic15 were even more heated. The conference took place in the heart of the industrial area of Helsinki, the old Cable Factory, and gathered around 2000 people. What is special about Arctic15 is the fact that it has preserved a cosy atmosphere despite being on the market for 7 years. Ok, since you have an overview of what type of conference it is, let’s get to the details. After I left the conference, I mainly thought about one thing – finally, true Virtual Reality is just around the corner. As a VR enthusiast, I couldn’t be happier. It’s clear that this is the next big thing on the market, with VR/AR/MR hardware getting more powerful and affordable. The number of startups focused solely on VR only proves my point. For instance, there were companies projecting that, soon, video conferences as we know them will be completely out-of-date. 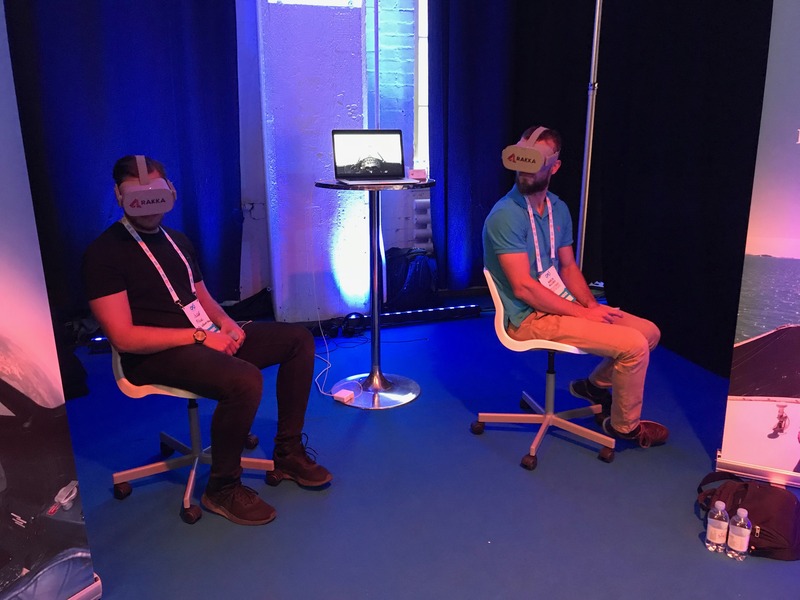 I had a chance to try out the VR conference tool, and the feeling of being in a digital conference room with other people (or rather, with their avatars) was a truly new experience. Participants could not only talk with each other, but also make notes on a whiteboard and manipulate 3D objects (in this case, it was a car engine, but you can imagine pretty much anything else). It’s a totally different kind of immersion compared to the regular Skype calls. Apart from Virtual Reality, there were quite a few FinTech and Blockchain companies. Many of the FinTech startups focused on the field of payment processing. The reason behind it is very simple – this year, a new EU directive (PSD2) came into force. It requires banks and other financial institutions to secure consumer interests by regulating new payment services and allows them to increase their competitiveness by admitting new entities. In short, it allows these institutions to collaborate with FinTech providers. The A15 conference is not only about startups and networking – the 2-days event is packed with plenty of interesting speeches and workshops. 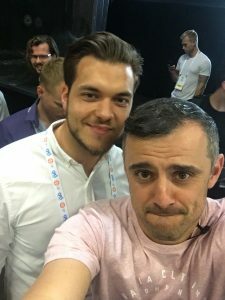 It began with a huge-calibre keynote speaker, Gary Vaynerchuk. The famous marketing and entrepreneurship guru officially opened the conference and made a speech focused heavily on the future of audio in the B2C market, the importance of a personal brand and the opportunities that are ahead of us thanks to new technologies. Some of the speeches had an interesting summary at the end – an open panel with a Q&A section allowing the audience to actively take part in the discussion. The panels covered topics such as the future of corporate banking and financial services, as well as why we should invest in space companies. As for the workshops, I didn’t have a chance to join any, but most of them were linked to developing business ideas, tips on how to get a VC investor and the changes that GDPR has brought to the startup scene. Actually, this is the main reason why The Software House was present at the conference. We have a strong customer base in the Nordics, so the A15 was a perfect way to organize a catch-up meeting with our existing clients and an opportunity to start making new connections. The networking process was enhanced by allowing the participants to book 20-minute time slots in a separate part of the venue – the Deal Room. At first, I thought that the time given by the organisers wouldn’t be enough to start a proper conversation. But, it turned out it really allowed you to get to know the other person’s business very well. The businesses and people we met varied considerably. What’s important is that, unlike other conferences, this one hosts companies at different stages of their life cycle – from seeds to startups that already generate revenue. The networking part made me think of Helsinki as the European capital of the startup scene – the amount of businesses and ideas was astonishing. 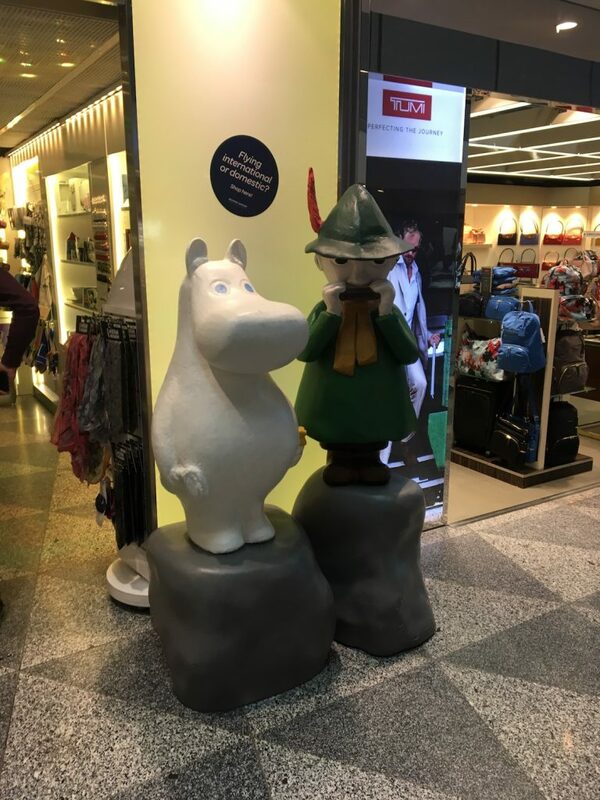 What’s interesting, the majority of businesses in Finland are based in Helsinki, so the people you meet at A15 might also introduce you to other businesses. For example, I met someone who is responsible for supporting business at a very early stage, and it automatically opened the door to contacting the companies they work with. In addition to the main event, we had a chance to take part in the afterparties, where you could make even more connections in a less formal atmosphere. I had a very interesting conversation with an Investment Principal from a huge VC group, which only reassured me about the strong position of Finland in terms of the startup scene in the Nordics. There are lots of government initiatives that have a positive impact on the whole Finnish market and should lead to creating new opportunities for entrepreneurs. To sum up, the A15 conference is a perfect event for people who want to stay up-to-date with the current technologies within the startup scene – not just in the Nordics but in Europe in general. It’s a great opportunity to meet entrepreneurs, investors and service providers, and to chat about the ideas and experiences regarding the IT market. As for me, I’m already sure that I‘ll come to Arctic15 next year. Nähdään! 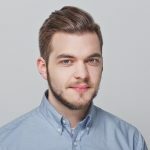 The youngest one in our Sales Team, Jakub is definitely a great person to talk to. Whether you want to discuss the newest tech trends, find out what's going on in the startup world or simply talk about your latest business idea – he'll be there for you.